I found this on Country Bumpkin's Facebook page. Is that not adorable? I love that littlest one. She is so captivated by what is going on with the bride. Their smocked dresses are to die for. How could anyone even notice the bride with all of those darling flower girls headed down the aisle? Of course I love all that silk organza going on. I love it! Bravo to the lady who made all those little dresses! 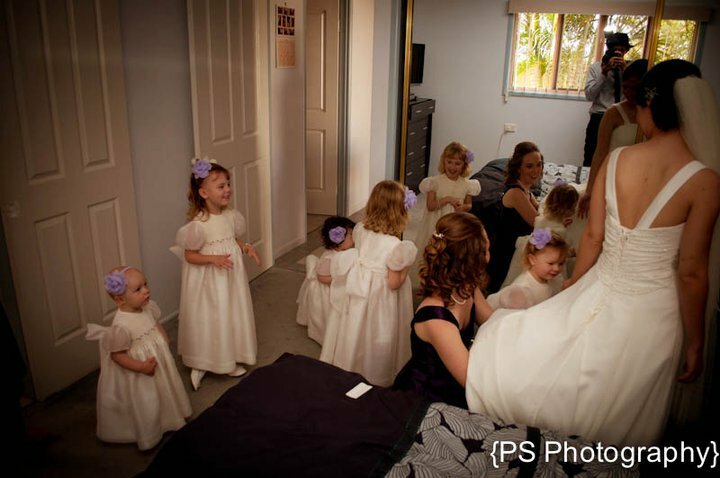 So sweet,you just wish you was there.The little dresses are just so adorable. Have a great weekend hugs Pat. Have a great time with Jan! I can't wait to hear all about it upon your return!